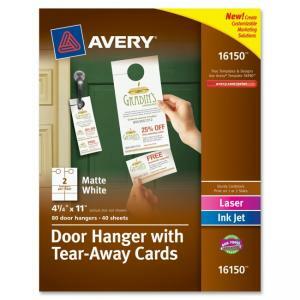 Two-sided door hangers with tear-away Cards let you take your customized message right to your customers' front door. Each hanger is made of sturdy cardstock and features two tear-away cards for seasonal promotions, discounts or rewards that can be kept by your customers for future use. Whether you want to offer coupons, rewards or business cards, you can easily personalize each element to fit your marketing needs. The cards fold and pull apart with ease so no scissors are needed. Choose from an array of free online predesigns and templates to create your own unique message. 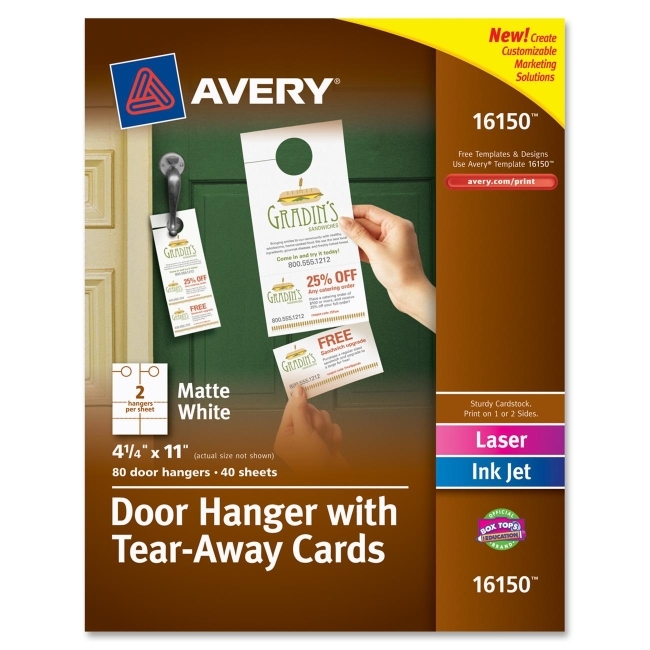 Door hangers are compatible with laser and inkjet printers.